SACHI and Cultural Integration Fellowship (CIF) invite you to explore a very special era in the history and culture of San Francisco. Joseph Subbiondo, President California Institute of Integral Studies (CIIS), will present an illuminating talk on the San Francisco Renaissance and Emergence of Integral Yoga and the Founding of the CIF and the CIIS. This event is in conjunction with the Asian Art Museum exhibition Yoga: The Art of Transformation (Feb. 21 to May 25, 2014). In 1947 Gordon Onslow Ford, a member of the Parisian Surrealist group, moved to the San Francisco Bay Area from Mexico where he had taken refuge during the war. Onslow Ford was a painter, philosopher and author of several books including Painting in the Instant (1964); Creation (1978); Insight (1991) and Once Upon a Time (1999). In 1951 he joined Austrian painter Wolfgang Paaeln and American painter Lee Mullican to create a major art exhibition called Dynaton (the Possible) at the San Francisco Museum of Modern Art. Soon after, he was widely exposed to the Eastern cultures offered in the Pacific West Coast. He met Dr. Haridas Chaudhuri in 1951 and attended his lectures. Onslow Ford studied Hinduism with Dr. Chaudhuri at the Cultural Integration Fellowship (CIF) in San Francisco. Onslow Ford’s incorporation of his learning at CIF is apparent in his work and his realizations of the archetypal marks, Line Circle Dot, which he explored explicitly in his paintings for fifty years. He also studied Buddhism with Alan Watts and took his first Chinese calligraphy with master Hodo Tobase Roshi. This talk focuses on the work of Gordon Onslow Ford and how Eastern Philosophy and calligraphy changed the course of Onslow Ford’s creation and thinking. The lecture demonstrates that this encounter not only impacted the work of one artist but also transformed his perception for the rest of his life. Fariba Bogzaran, PhD, East-West Psychology, is an artist and scientist who was a collaborator and close associate with Gordon Onslow Ford for thirteen years before his death in 2003. With Onslow Ford, they co-founded the Lucid Art Foundation in 1998 where she is currently the Creative Director. She collaborated with Onslow Ford on his books, Insight (1991) and Once Upon a Time: The World of Line Circle Dot (1999) and has contributed to over twenty exhibition essays in international publications on the works of Gordon Onslow Ford. She is the co-author of Extraordinary Dreams (SUNY Press, 2002); and Integral Dreaming (SUNY Press, 2012). Swami Vivekananda, who mesmerized the Parliament of World Religions in Chicago in September 1893, was the first Cultural Ambassador of India. He was a visionary, philosopher, thinker, social reformer and a man of action far ahead of his time. In the USA, Swami Vivekananda pleaded eloquently for better understanding between India and the New World in order to create a healthy synthesis of East and West, of religion and science. By interpreting Religion as a universal experience of transcendent reality, he introduced the spiritual path in a practical and rational manner that could be understood as a “Science of Conscience.” He taught a philosophy and methodology that anybody could adopt into their way of life to achieve personal transformation and transcendence inwardly to establish a direct connection to the Divine. ‘If you want to know India, study Vivekananda’ was Rabindranath Tagore’s advice to Romain Rolland. Swami Vivekananda’s life and teachings are of inestimable value to the West for an understanding of the meaning of life. Ambassador N. Parthasarathi is the Consul General of India in San Francisco since October 2011. A 30-year veteran of the Indian diplomatic corps, he has been Ambassador of India to the Republic of South Korea. While he was Ambassador to Senegal, he was also concurrently accredited as Ambassador to Mali, Mauritania, Guinea Bissau, Gambia and Cape Verde islands. He has also served as a diplomat throughout the world including in Belgium, Pakistan, United Kingdom and Syria. His hobbies include writing, spirituality, mentoring youth, golf and bridge. He has published two books, The Reluctant Assassin, a fictional thriller, and The Legend of Princess of Ayodhya in Korea (this was translated into Korean and published as Silk Empress and recently into an illustrated book for children). Ambassador Parthasarathi, a Mechanical Engineer with an MBA, is married to Smt. Geeta Parthasarathi. They have two daughters. From 1912 to 1950, Sri Aurobindo (1872-1950) attempted to formulate his yoga practice in a number of ways to suit different audiences and different stages of his work in the world. This talk will explore these formulations with a view to illuminating contemporary practice of the Integral Yoga. Debashish Banerji is Dean of Academic Affairs at the University of Philosophical Research, Los Angeles. He is also Adjunct Professor of Art History at the Pasadena City College and Adjunct Faculty in Asian and Comparative Studies at the CIIS, San Francisco. 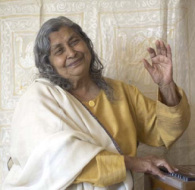 Since the 1970s, Banerji has been a student of Sri Aurobindo and the Mother’s teaching. Joseph L. Subbiondo, president of CIIS since 1999, has an accomplished background in both administration and academics. He brings over 30 years of achievement in higher education and he has been active on many accreditation teams for the Western Association of Schools and Colleges. Prior to coming to CIIS, he served as Dean of Arts and Sciences at Santa Clara University, Dean of Liberal Studies at St. Mary’s College of California, and Academic Vice President at the University of the Pacific. His scholarly publications have been on the history of English linguistic theory, and he is presently publishing and presenting papers on spirituality and interreligious dialogue in US higher education. Mirra Alfassa, the Mother of Sri Aurobindo Ashram, was, among other things, the greatest explicator of Sri Aurobindo’s teaching. In Savitri, Sri Aurobindo has offered the vision of a World of Divine Beatitude. This vision itself has become the very conscious-force, chitshakti, which impels its own realization and fulfillment. In Mind of the Cells, Mother has provided the tools for us to work here in our evolving cosmos. This presentation will be a multi-media exploration of Mind of the Cells and recent Changes in the World spirit, reflecting on the meaning of mind, and cell, and how we may work with mind to support the evolution of material world and circumstances. Vishnu Eschner is a founder and former director of Sri Aurobindo Sadhana Peetham, an ashram for the practice of Integral Yoga and is actively involved in the works of the Mother and Sri Aurobindo.